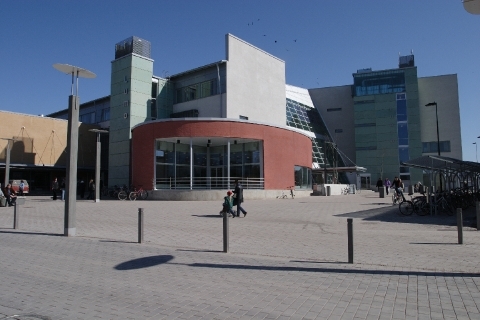 The Lumo (in Finnish: Fascination) Library in Vantaa was opened in 2003 in the multi-purpose centre, also named Lumo, situated in Korso, the Northern district of Vantaa. 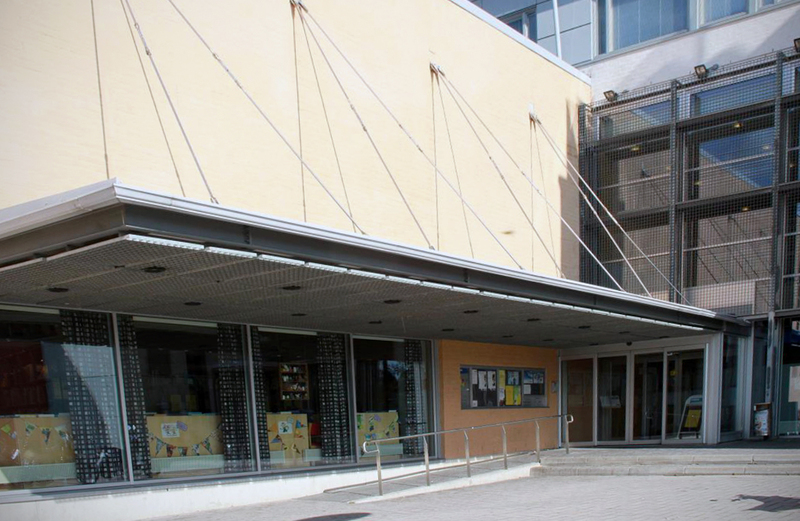 The other actors in the centre include a big high school, a citizens services office and a café – restaurant open during school days. 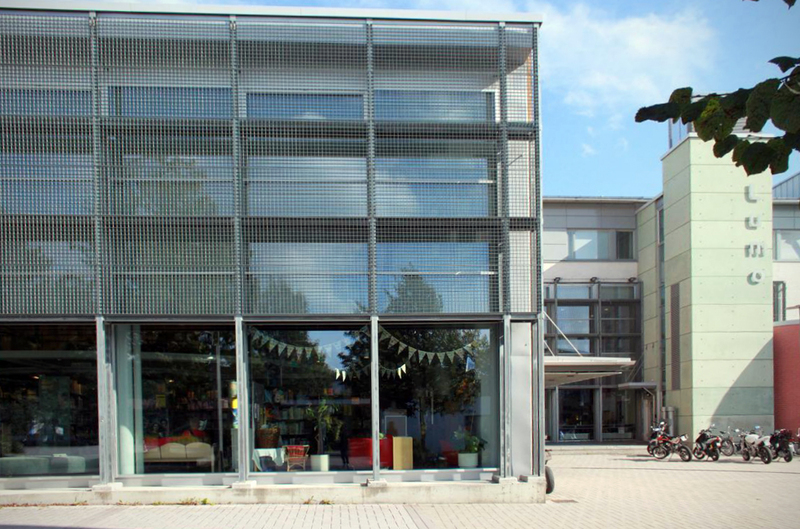 In addition, the centre offers premises for excercise and recreational activities as well as meeting facilities. 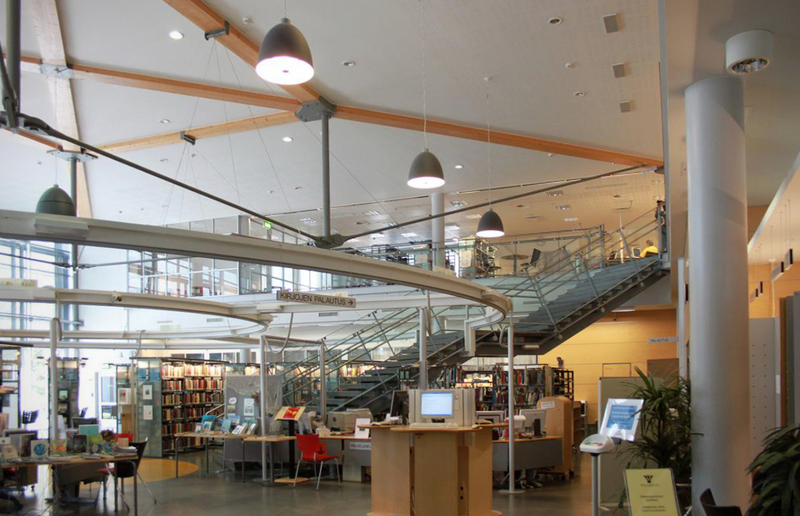 The library is the third largest in Vantaa and a part of the metropolitan region HelMet library network. 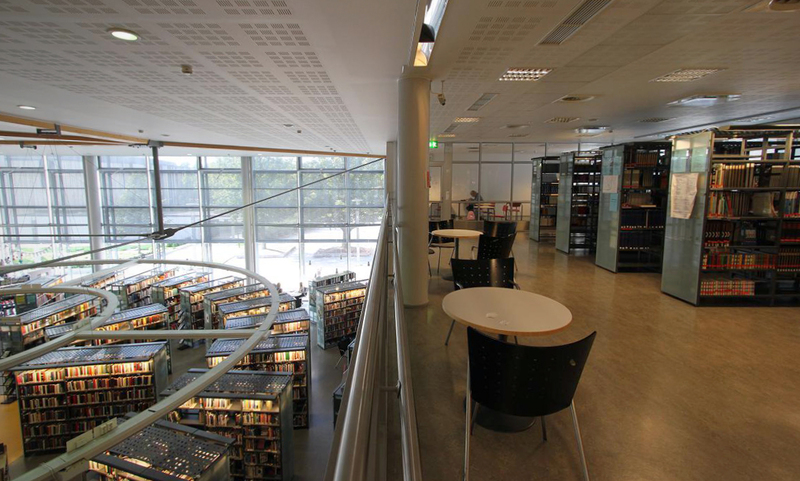 Self-service in borrowing and returning materials and promoting the collections through programmin such as booktalks are important in the Lumo Library. The library also cooperates actively with the nearby schools. 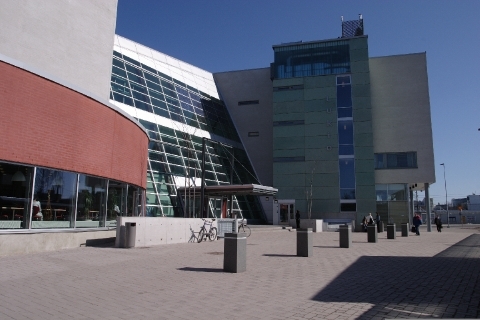 The library premises are located on the two first floors of the four-storey building. The entrance is through the main doors. All materials for loan can be found on the ground floor. The ground floor also houses a small multi-purpose scpace, Story corner. The public computers, a small reference library and a reading room are on the second floor. The architecture of the library aims at transparency. 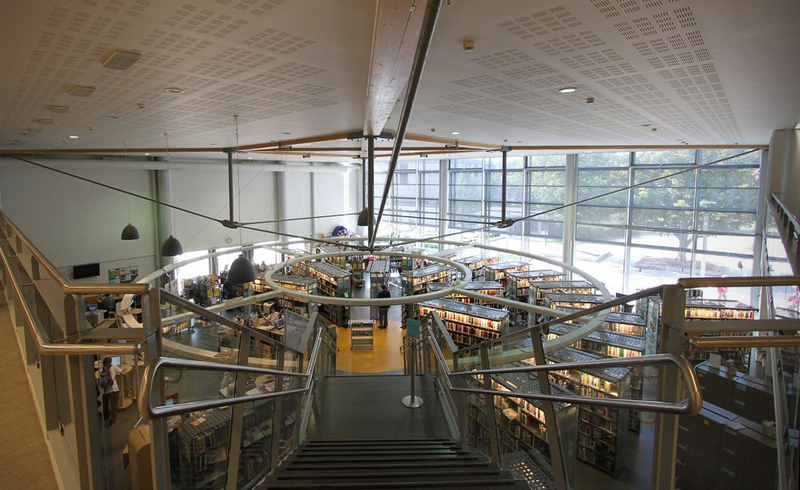 The unique architectural expression is achieved through the high ceilings, the openness between the storeys, the big supporting beams, the predominang stairs and the glass window walls on the west of the library. 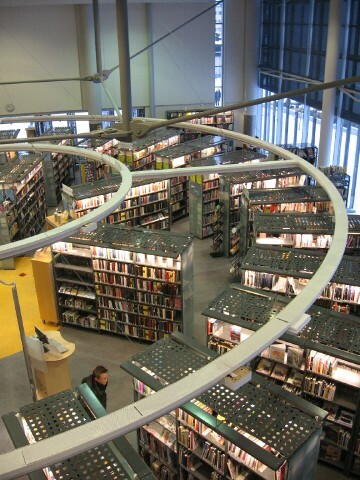 Most of the shelves are non-traditionally arranged in a circle.